Nexteer developed a “quiet mode” to calm nerves over a moving wheel. FRANKFURT — Steer-by-wire, a cornerstone technology for self-driving vehicles, could become a common feature in production vehicles within five years. A senior executive with Nexteer Automotive says his company has several r&d contracts to design such systems, with possible production early next decade. 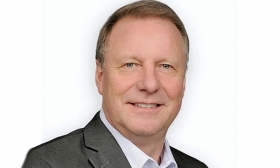 "We are close," Frank Lubischer, Nexteer's chief technology officer told Automotive News Europe sister publication Automotive News during the Frankfurt auto show last month. "It's no longer a question whether the customer wants it. It's full development ... and it will be after 2020." Steer-by-wire appeared commercially on the Infiniti Q50 in 2013 as a feature to give drivers more choices in steering firmness. Unlike conventional steering systems, steer-by-wire eliminates the mechanical linkage between the steering column and rack that controls a vehicle's wheels. Instead, sensors convert the steering wheel's motion into electric signals, and electric motors turn the wheels accordingly. Steer-by-wire improves response time when a vehicle is in self-driving mode. 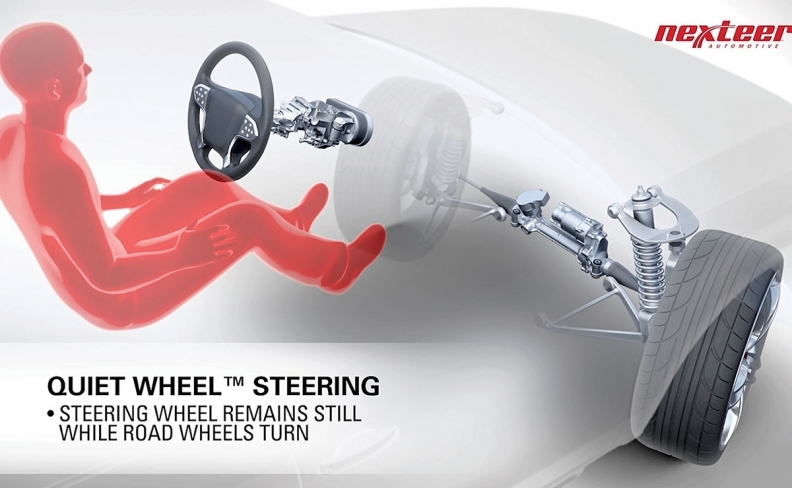 Just as important, steer-by-wire allows for the introduction of retractable steering wheels, which do not require steering columns. Getting rid of steering columns frees space for a driver's seat to swivel for conversation or for the introduction of fold-up tray tables and other amenities. Steer-by-wire also improves response time when a vehicle is in self-driving mode — which will be important for future collision avoidance. Other major suppliers of steering systems, such as Japan's JTEKT Corp. and Germany's Robert Bosch, also are developing systems. In August, a JTEKT executive told Automotive News that his company could start production around 2020. Lubischer says Nexteer began work on this technology in the early 2000s, when it was a division of Delphi Automotive. Originally, the idea was to get rid of the steering column so that automakers could more easily adapt vehicles for right-hand-drive or left-hand-drive markets. But automakers didn't nibble at that, so Nexteer shelved it. Nexteer revived the r&d effort when interest in autonomous drive began building. Nexteer's work in the field illustrates the challenge of designing self-driving vehicle components. A key issue in the development has been plain old customer acceptance. Last year, Lubischer organized a consumer clinic at Nexteer's test track in Saginaw, Mich., to gauge how comfortable consumers would be with the system. He soon got an earful. When the vehicle entered a turn, passengers were unnerved by the steering wheel as it sawed back and forth. Drivers would hold their hands within an inch or two of the wheel, ready to grab it if the car veered off. In response, Nexteer developed what it calls a "quiet mode" for the steering wheel so that it is delinked from the steering system when the vehicle drives itself. The car turns, but the steering wheel does not. Next, the team began working on making the wheel retract. This year, Lubischer tackled an even thornier challenge: how to safely return control of the vehicle from computer to motorist. In-cabin sensors can determine whether drivers have their eyes on the road and their hands on the wheel. But sensors cannot divine the motorist's mental state. Some drivers need just a few seconds to focus, while others might need up to a minute. So Lubischer designed a steering wheel that uses haptic cues, or touch senses, to communicate attentiveness. For example, if the vehicle is exiting a highway, the steering wheel would guide it onto the off-ramp, but do so with a slightly off-center trajectory, just to force the motorist to correct it. If the motorist is awake enough to do so, the vehicle would hand over control. But if the driver fails to correct the steering, the vehicle would pull itself over. In effect, the computer would be testing the motorist's readiness to resume control, Lubischer said. "Even the most experienced driver needs a period of time to refocus on driving," he said. "It's like a test. If you pass the test, you are fully awake." Nexteer's latest step is the addition of an emergency steering system in case of equipment failure. A complete backup system would be too costly and bulky. Instead, Nexteer is designing redundancy into individual units. For example, the electronic control unit would have two separate computational tracks that check each other for accuracy. If one fails, the other takes over. If the steering does fail, the stability control system could be programmed to guide the car to the side of the road, Lubischer notes. This is heady stuff for a supplier that seemed doomed to oblivion during the Great Recession. After nearly a century as General Motors' in-house supplier, Saginaw Steering Gear was spun off as a division of Delphi Automotive in 1999. But Delphi declared bankruptcy in 2005, so GM took back Nexteer, only to enter bankruptcy itself in 2009. Nexteer was reborn a year later when GM sold it to Pacific Century Motors, the investment arm for the city of Beijing. After an infusion of capital, Nexteer managed to boost revenue last year by 14 percent to $3.8 billion — enough to gain bragging rights as the world's No. 3 producer of steering systems. The question, of course, is whether a traditional supplier such as Nexteer can carve a niche in the market for self-driving vehicles. Lubischer is optimistic. "We are convinced this is the way the technology will go," he said. "We have the in-house expertise, the software, the hardware — you name it. This is a rich field for us."